Resistive Touch Screen PCs are a significant consideration when it comes to industrial and commercial usage. The best resistive touch industrial use computer systems are designed using fanless components for silent performance. Higher quality all-in-one resistive PC models also use aluminum housings with no moving parts. 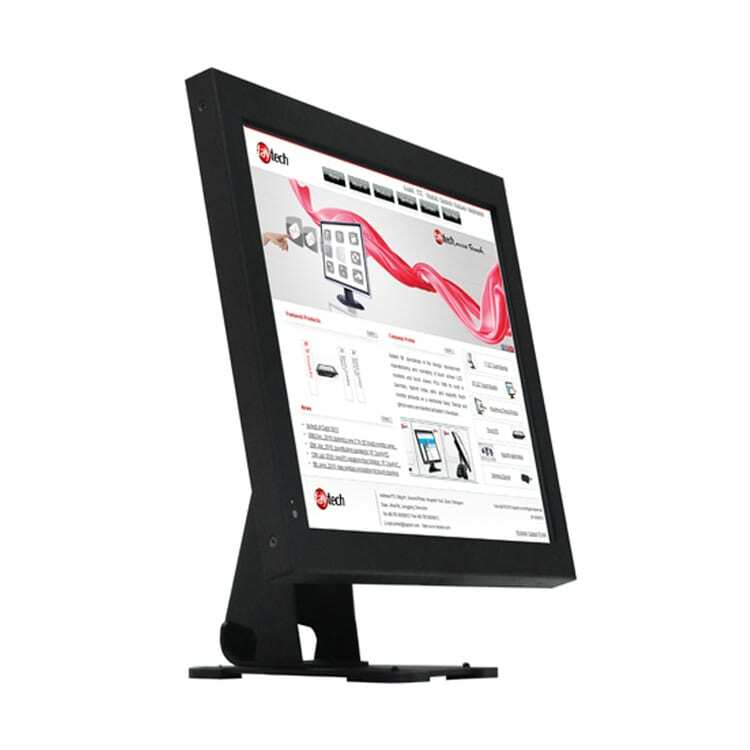 Industrial resistive touch screen all-in-one desktop PCs are designed for use in numerous applications. Highly dependable usage in a broad range of climates. Precise interactions with PC systems. Durable and resilient processing in extreme conditions. Precision interactions with a stylus and gloved hands. Industrial grade PCs that are liquid resistant in industrial grade food processing applications. Precision and dependability for processing applications quickly. Streamlined touch screen controls for manufacturing usage. Touchscreen interactivity for tracking applications. Construction-grade computing designed with extreme work conditions in mind. Resistive PCs can be used with gloves and/or styluses. The pressures made against the surface sensors will register as a touch. This can be a necessary requirement for industries or applications requiring gloved hands or sealed environments. Other areas, such as food processing have strict “no glass” policies regarding exposed glass. And, other industries involve high possibilities for liquid and dust to be splashed upon the device. 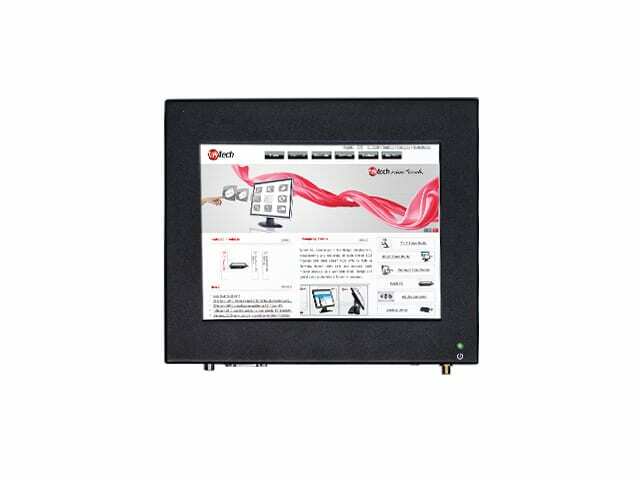 The resistive touch PC industrial computer systems can be used in countless applications. Resistive touch screen computer displays are comprised of a minimum of two layers of flexible sheet (usually polycarbonate) laid on top of a glass substrate. A resistive substance coats these top sheets and they are then separated by tiny dots between the sheets. If a resistive touch screen is pressed, these layers are pushed towards each other and generates resistance on both a vertical and a horizontal axis. The resistance change is measured by the resistive sensors on screen as a touch signal. Resistive touchscreen PCs are very effective in a broad range of applications and there are certain benefits that set apart resistive screens. The next time you have a chance to interactive with a touch screen ATM, touch the screen but do not apply any additional pressure. In most cases, the machine will not accept this input because there is no pressure. When pressure is applied to the screen it will receive the input. Resistive touch screens are made out of two layers of glass or transparent plastic that are coated with a conductive layer of ITO (indium tin oxide). Each conducting ITO side is separated by an air gap and as pressure is applied the upper layer touches the lower layer. As a result, current flows to the connecting point. What makes other touch screens types (capacitive, SAW, infrared touch screen technology ) different is that those screens utilize moving parts. The overall benefits of resistive technology is that it is inexpensive to make, nearly any object can be used for input, it is easy to integrate into other systems, and resistive touch works well in rain or with other liquids present. Contact us today to learn more about faytech North America’s resistive touch solutions.